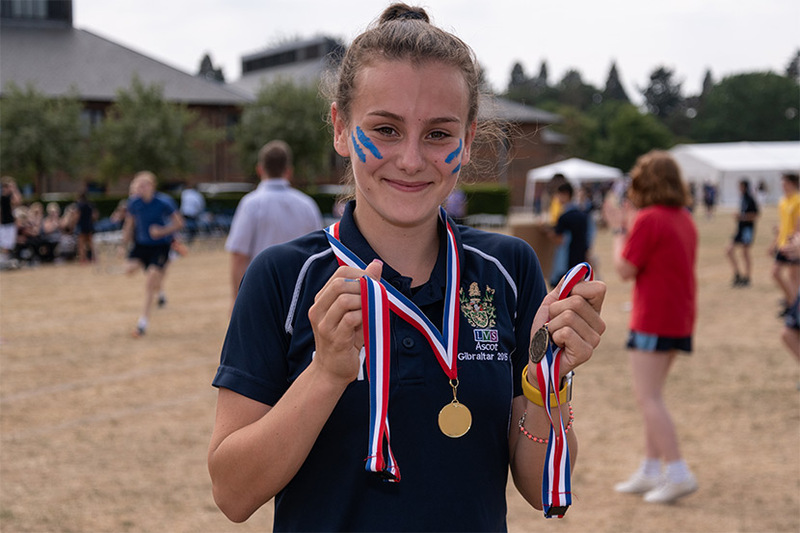 At LVS Ascot, our Co-Curricular programme is focused on developing our student’s self-confidence to make them into an all rounded individual for a more positive impact in the classroom and beyond. Co-Curricular activities at LVS Ascot Senior School. We have a broad and varied Co-Curricular programme within the Senior School across the four main areas of sport, drama, music and D of E. Students are encouraged to participate in as many Co-Curricular activities as they are able to and activities take place before, during and after the school day. The ethos of our Co-Curricular activities is based around our E4 programme of Exercise, Enrichment, Enjoyment and Extension. All sporting fixtures are available under the sport section of the Parent’s Gateway and are also displayed in the PE Department. If fixtures or training are cancelled or postponed, the sports section of the Parent’s Gateway will be updated and posted on our Twitter page @lvsascotsports. Practices are compulsory for all Year 7s in the first two weeks of each term. We are an extremely inclusive school and would like to see as many pupils taking part in practices and fixtures as possible after these two weeks. Saturday mornings are compulsory for all Year 7s in the first two weekends of each term, for either a match or practice. We offer three Duke of Edinburgh Awards to our students in Years 9-13. This provides opportunities for new learning skills, volunteering and sports with expeditions offered at every level. All our Year 9 students start doing the Bronze Award, whilst we offer Silver to Years 10 and 11 and Gold to Sixth Formers.